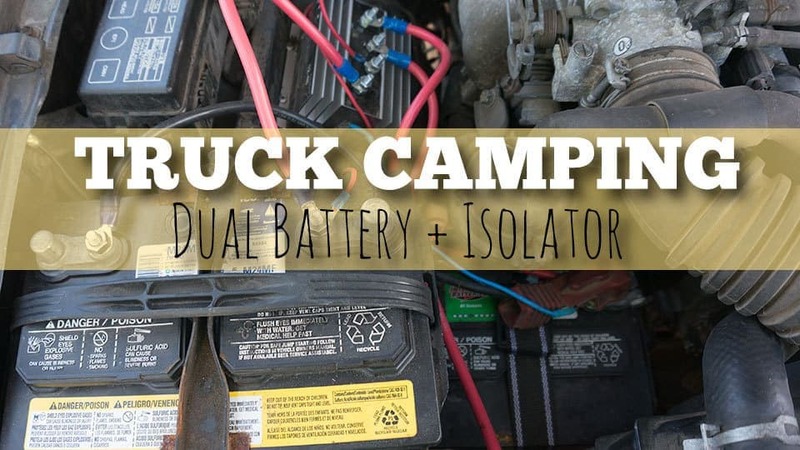 One of my most frequently asked questions about my truck camping setup was always in regards to a dual battery setup and adding an isolator. 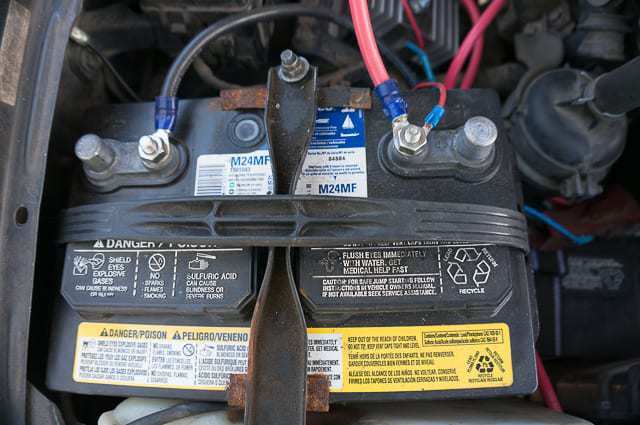 A dual battery setup with an isolator, for those who don’t know, is pretty much what it sounds like: connecting two car batteries to your vehicle’s alternator while adding in an isolator of some sort to keep the batteries separate (isolated!). In practice this means that while you are driving around all day you are charging both batteries like normal, but when the vehicle is off the batteries are not connected and cannot see one another. 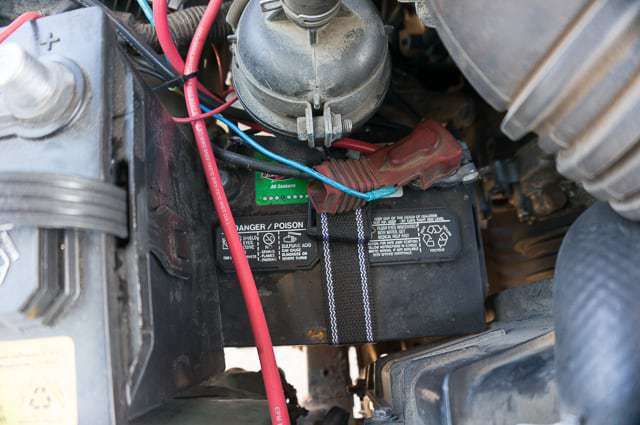 Thus allowing you to connect your accessories and electronics up to this secondary battery to use while camping without ever worrying about killing your main battery and being unable to start your vehicle the following morning. Previously when I spent the better part of a year camping out of my truck, I was running the normal single battery setup. This meant that when I was charging my electronics out of the canopy (I had a pod of three cigarette lighter adapters hooked up to my main battery in the back where I would run my 400w inverter) that I would, perhaps over cautiously, idle my truck about every hour in order to ensure that I would not kill my battery. Nothing worse than getting stuck out in the middle of Grand-Staircase Escalante’s Hole in the Rock road, or some other remote area and being unable to start your vehicle and being stuck without cell service. Of course, you can buy portable emergency jumper batteries, they also sell batteries with a special jumper built right in to it. 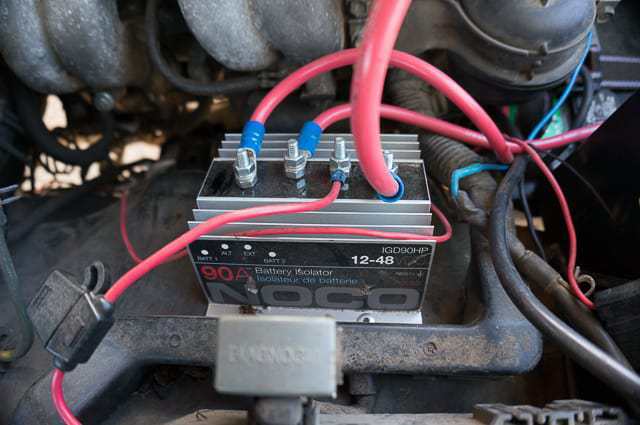 But you don’t ever really want to kill your starter battery–it’s not good for them in the long run and they aren’t built to be drained down to zero and then charged back up. I would read and read about dual battery and isolator setups on the Internet from various websites and on Expedition Portal. But I just couldn’t really get my head around it. Amps, grounding, various gauge wires, solenoids, blah, blah, blah. It’s all greek to me. 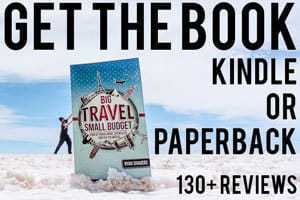 So I just bit the bullet this year before setting out on the road again and made some calls to area businesses and had them set me all up. In all it only cost me about $370 for them to do it, about $120 of which was the cost of labor, the rest was the parts $120 for a deep cycle marine battery (which is what you definitely want as they are designed to be discharged down to zero). I got an ACDelco M24MF marine battery, $55 for a NOCO 90A Isolator–which you can grab for less than $30 on Amazon, and the rest for miscellaneous parts like wires to hook up the battery, new battery tray, etc. Both batteries and the isolator. The main starter battery now moved into the space below. The new accessory battery which runs everything in the canopy. The thin red wire runs to the back of the canopy. Of course you can order super duper fancy dual battery isolators with a brain and panel readout which shows how much power remains in each battery, how much they’re charging and how much they are being drawn down. But those kits run upward of hundreds of dollars themselves, and that’s without the second battery or any installation. Really you just need a simple kit. Less that can go wrong with it on the road as well. Which electronics are absolutely notorious for doing. Reading online it never sounded too complicated–but with the grounding of the batteries and things of that nature, it was just over my head. So, if you’re able, definitely follow this Expedition Portal thread about a $50 isolated dual battery. Or, if you’re like me, and that’s still too complex, do it the true dummy’s way and have a local handy man install it for you. 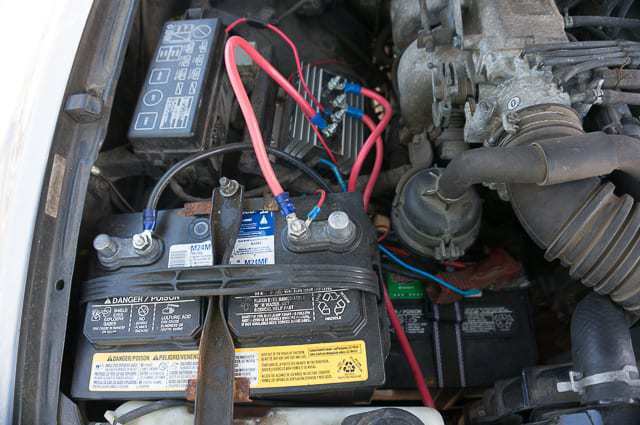 Most normal auto repair shops will not want to do a dual battery setup. 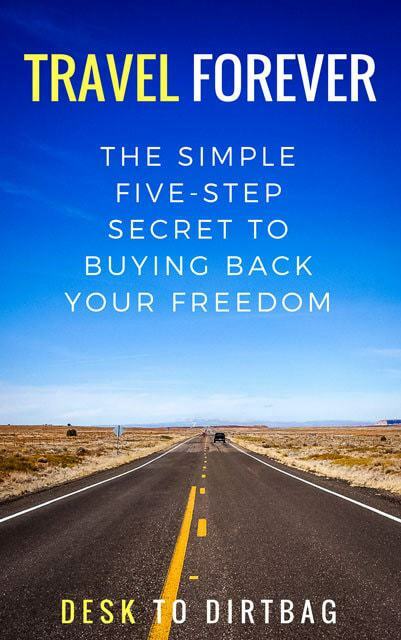 So your best bet is to call around to car stereo specialists (they often install a second battery for their clients to run their high powered stereos) or to call an RV repair place or shop (who are more specialized in the needs and demands of using a battery for a home on wheels). I called both. The audio stereo specialists quoted me a price of upward of $500. And the RV repair folks quoted me about $350. I ended up going with Affordable RV Repair in Bremerton, WA. They had the best rate and the came recommended by my neighborhood mechanic. 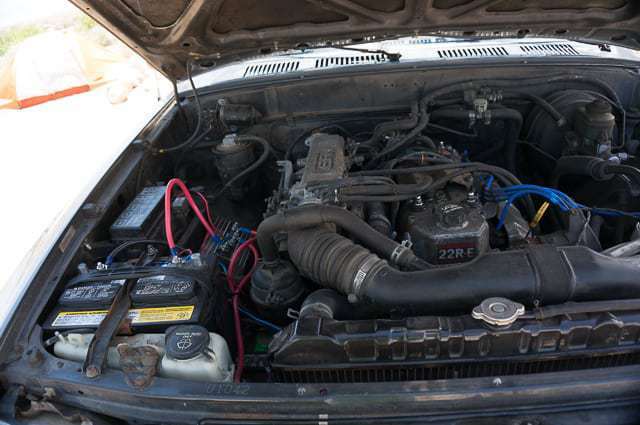 The other complication with doing a dual battery setup in my truck, a 1991 Toyota Pickup (Hilux) which predates the Tacoma models, is that it features a small engine compartment. The 22RE models are renowned the world over for their reliability and toughness (the AK-47 of the automobile world–indeed insurgent groups in the harshest of conditions often use the Hilux), it is quite a tight little engine and there isn’t a lot of room under the hood. Just when I sort of though I had a grasp on the logistics of mounting a second battery, I struggled with the question of where I could actually PUT the second battery. All the more reason to take it into the professionals. Chatting with the pros, we decided that we could move the starter battery down a little bit into the empty space near the radiator (just down and to the looker’s right of the original location), and thus mount the larger deep cycle marine battery where the starter battery used to go. They wired each battery up to the alternator and then mounted the isolator to the frame nearby. Besides adding a canopy and outfitting the back for gear storage and sleeping, I think adding the second battery was the best thing I’ve done to make life on the road more comfortable. I have yet to kill my second battery and have been able to keep all my electronics charged without fail while camping up to three nights without ever even starting my truck. Again, I don’t know how much things are drawing down, or how far I could have taken my single starter battery previously, I just now now that both and Andrea and I are able to easily keep our two cell phones, two cameras, two laptops, and other miscellaneous electronic devices charged and ready to go. 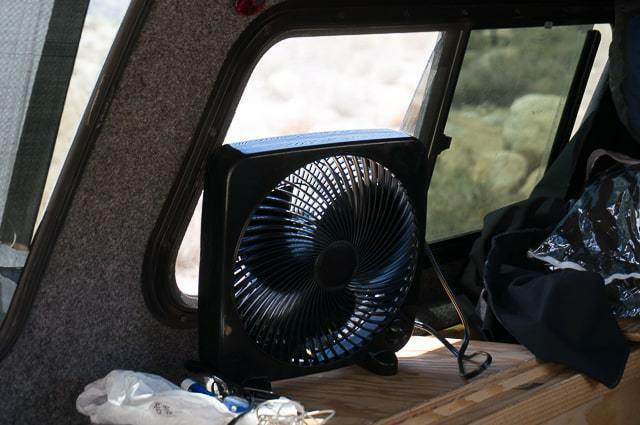 We’ve even been running a cheap fan off the secondary battery throughout the nights in the heat of the desert while camping, which makes it so much more comfortable to sleep. Of course never forget your ABC’s — Always Be Charging — while you are on driving throughout the day, for us that usually means cell phones connected up front, perhaps a camera, and then charging other items in the back of the canopy, most often the laptops. If you’re really wanting to do it right, you should run a thick gauge wire from your secondary battery back to the canopy hook up, that way you’ll get the strongest connection with the power. For instance, I cannot run my laptop connected to the inverter, I can only charge it and then later run it off the laptop battery. Since I originally posted this, I’ve run thick, heavy wires from the second battery straight back to my inverter. I can now run pretty much whatever I want back there, including using my laptop while it is connected. It was a great addition! You can get super complex, some campers even run mini fridges out of the back of their canopies while on the road. It seems cool, but I haven’t gotten to that point, nor am I willing to shell out the $600+ for one. You might be better off just going for one of those Yeti coolers. All-in-all, I am SO happy to finally have an isolated dual battery setup, and anyone that is seriously looking at spending a longer stretch of time on the road and truck camping should absolutely have one in their setup. So even if you’re a mechanical and electrically dummy like me, you shouldn’t be intimidated, just call around to your neighborhood RV and car audio specialists and explain what you are looking for, a dual battery setup with an isolator in order to charge and run accessories. It should run you around $400 and is absolutely worth every penny, as far as I am concerned. Have any questions about the dual battery setup? Do you have a dual battery setup already? Sound off in the comments below with your experience and perspective. Andy Arthur Dual Battery setup on Chevy Silverado — his thoughts four months on. Roll Global’s Truck Camping in Style with details about running a fridge and more. Expedition Portal thread about a $50 dual battery setup. Looking for more truck camping essentials? Here’s what I take along truck camping. Join the private Facebook group Pickup Truck Camping to ask questions and share your insights. We are now a few thousand active members! I didn’t have any room in my truck to put the battery on the right side. Basically the only free space was the area just below where the originally starter battery sat, so that’s what we had to do. If you’ve got the room, it would be better if they were situated so tightly like mine. And Ryan, The inverter in the back canopy is far less efficient than if you were to wire it up front! This is what made me put my second battery in the back of the car. If at all possible, rewire it as close to battery (preferably in the cab somewhere) and run 110v back from there! Please also to remember to fuse everything that you do! As without a fuse there is nothing to stop the flow of power if you were to be in an accident! Though never did truck camping before but i guess this is a no brainer, keeping two batteries to have one in case of emergency if you end up being in the middle of no where. isn’t it? Definitely makes a lot of sense having two batteries… Should be more common! i have a Toyota and was not able to install dual battery in it. thanks for this awesome article which helped me to install another battery easy. much appreciated! Thanks tons Ryan! We are taking a long term trip this summer and I need more power and I am a mechanical/electrical dummy like you 🙂 Just hope my husband (an even worse dummy) will agree to the extra expense! All very helpful Ryan! So appreciate what you have offered. I am hoping my 2009 Toyota will have room for a dual battery setup…time will tell. For the time being I have kept my truck without any wood using hammock nets and a few containers….I was a member on FB but for some reason it doesn’t recognize me…maybe too low key…will photograph someday for you when I am actually on the road. For now it’s weekends…a senior hoping to paint plain air. Happy travels! Hey Elizabeth, thanks so much for the comment and glad the article was helpful. If my little ’91 22RE had room for a dual battery, I’m sure someone can squeeze another battery into yours. Just have to talk with a creative mechanic. Look forward to seeing photos! Cool Thank you. Found them. Very similar set up. I went with the top sleep at up tho because my canopy is a bit taller. I’ll keep an eye out for you around WA. Cheers! Just wondering if you have any pics of your ’91 Toy? I have a ’94 that I’ve been working on for a while. I’m not on any social networks anymore as I got tired of seeing what my friends where eating for dinner. I’ve been thinking of the same set up but progress is when I have time. In Puyallup WA. I try and keep the pics of things I’m eating to a minimum, hah. Really enjoyed your posts about your bed setup and batteries. 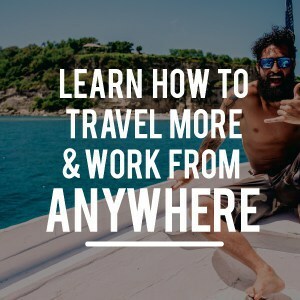 I can relate since my wife and I have been truck camping for years all over the west in a 1997 Ford f-150 4×4 extended cab (which I love the extra room in the cab)with a wedged carpeted Leer camper shell. Love it and makes a great base camp. We’ve done extended self sufficient trips in remote areas with 7 to 10 days between town resupplies so I have carried an extra battery for some time and it works great. Even hooked up LED X-mas lights one time on a cactus with a inverter. I use a very simple isolation set up. I just use a manual kill switch between batteries to isolate the deep cycle when not charging. Kill (isolation )switch is under the dash and easy to reach. Mounted 6 12v outlets in the cab and 2 in the camper direct wired to the deep cycle battery with separate fuse. That gives me 8 12v outlets in the cab including the ones that came with the truck and 2 in the camper. Plug in some small USB plugs and ready to go with all kinds of electronics. Also carry a small 140V inverter for some electronics …bought at Walmart which is handy too. We find we can camp in much rougher terrain than where a tent would be uncomfortable and impractical, and I carry some basic leveling blocks, also double for jacking blocks for recovery. The camper is also great to get out of wind or marginal weather and still get some sleep. We have a big tarp to extend off the back or side so we can still be protected when cooking or getting out of the truck or need desert or summer shade. For security I have a chain and pad lock behind the grill so I can lock down the hood and we can put some valuables under the hood for security when parked for hiking etc. Poor man’s safe. I also have a well hidden kill switch that completely kills the ignition. Some one tried to steal our truck in Las Vegas and if they had succeeded they would have had a bundle $$$$ in truck, camping, ski, and climbing gear. Broke the door lock and ignition so it could be started with a screw driver but the kill switch saved our bacon although they got some items from the cab. I now also have a stout length of chain that goes around the steering column and then around the brake pedal with ends locked tight with a pad lock. Can’t brake or shift the gear shift, or turn the steering wheel as a result. Also have a crude loud home made security alarm on the camper door that triggers a second horn under the hood. Got paranoid after the Vegas theft attempt. Mainly this stuff slows down the thief and makes a difficult and slow target and hopefully they move on. After years of remote truck camping we opted for the elevated shelf for sleeping with two large pull out drawers. The bed is also divided into 4 hatches. But our camper shell is wedged with extra height so it gives more head room. Although one draw back to a wedged cap and bigger tires and stiff suspension is to watch out for lower clearance parking garages!!! I need 7 + feet. Have a bunch of other additions as well. Use an Acer tablet with a GPS and topo program for navigation. Same program on my Android phone. Down load maps off line or anywhere I have wireless or use hotspot on my phone if I can get cell coverage. This works great especially at night, If I have data coverage I can use Google Earth to see the terrain in detail, and have found some good camping spots this way at night. Have lots of camp sites and points of interest listed on the topo program. It also tracks me real time and can post waypoints and tracks, and measure distances, goto’s etc. 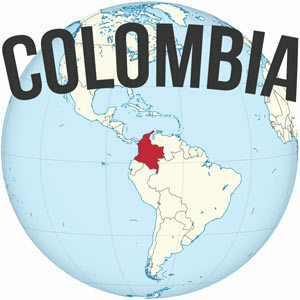 Great and user friendly program with numerous mapping options. Back Country Navigator Pro. Last thing I purchased was a Scan Gauge that plugs into the port for engine diagnostics so I can track gas mileage, engine performance, and engine codes etc. Can also easily check battery voltage and charge levels. Also on a search and rescue team in AZ so all this stuff comes in real handy on remote SAR missions if I take my own truck. Does this stress the alternator more? No, inside the cab it is still hooked up traditionally to the starter battery where you can’t charge without the key. In the canopy though I can charge whenever with no key in the ignition off of my second battery. Err, I see that you are. Looks like I need to modify my 2014 tacoma to have constant power on the cigarette adapters. That’s a really cool setup! My husband wants to do something similar with our truck. However, he has no idea what he’s doing, so this tutorial is going to be really helpful! Thank you. Thanks, I didn’t really know what I was doing either, thus the need for professional help! 1) Does the isolator you chose prevent overcharging of the deep cycle battery? 2) How does the Noco isolator differ from the less expensive solenoids listed in the Expedition write up? 3) What does the wiring look like leading from the second battery to your power delivery points? 4) Do you have a DC port and/or inverter in your cab as well as your camper shell. Thanks for the continuing great resources! Lots of questions! I’m not the best one to answer, haha, since I’m relatively incompetent at electrical stuff. 1,2) Don’t know, though I don’t think it overcharges the battery–not any more than it would your regular starter battery, right? It’s been hooked up for half a year at least now. 3) I’ll have to grab a better picture for you. 4) I have a second inverter, but I did not hook it up directly to the second battery, I’ve thought about it though. 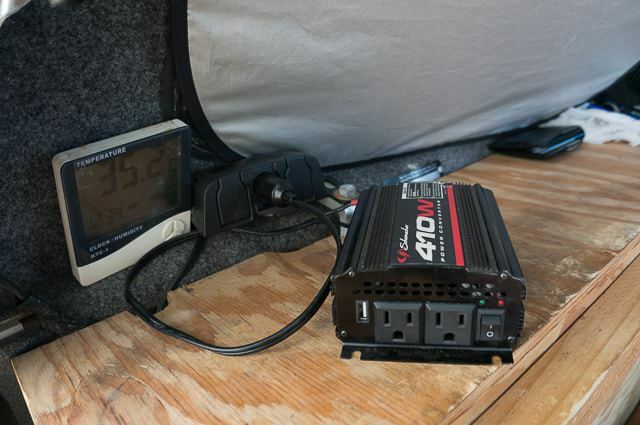 Sometimes I will pop the hood and hook my second inverter up directly to the battery and run my extension cord from the inverter to where I need–primarily just to use my computer while it charges (I can’t from the inverter in the canopy). 5) The wire to the canopy is routed underneath the body of the truck all the way to the back corner and up into the canopy. This a good idea for peace of mind. I have been out in the wild, in my Tacoma, worried if it will start the next day. I have seen where they will put the extra battery in the bed of the truck. You don’t have to run a huge battery cable to it from the isolator in the engine compartment, as it is just charging the battery. I think you may smell it in that confined space though. I would definitely recommend it, totally worth it to be able to charge your electronics, run your lights, etc with no worries of being left stranded the next day! I thought about doing it in the bed, but then you should definitely get one of those fully sealed batteries that wont give off any noxious fumes. Nice update. I’m heading out on another road trip this summer in my tacoma and I may just consider this. I’m ok with charging my electronics while driving (ABC’s, I liked that). But seeing that picture of a fan had me wishing for a dual battery. Sometimes it gets stuffy under the canopy. Hey Tim, I’d definitely recommend doing the dual battery setup. It has made life on the road so much better. Seriously. The fan is clutch, and being able to keep everything charged without worry is a huge step up. Love it and wish I had done it two years ago… Hope you are well!